Travis J. Hawke (full name Travis John Hawke) was born in April, 1983, in Sydney’s north-eastern suburb of Manly. At the age of two, his family relocated to Coal Point, Lake Macquarie - a Central Coast suburb forty minutes south of Newcastle. There, he attended Coal Point Public School, Macquarie College, and completed a Bachelor's Degree in Commerce at the University of Newcastle. His parents were both teachers and he is the oldest of three children with two younger sisters. 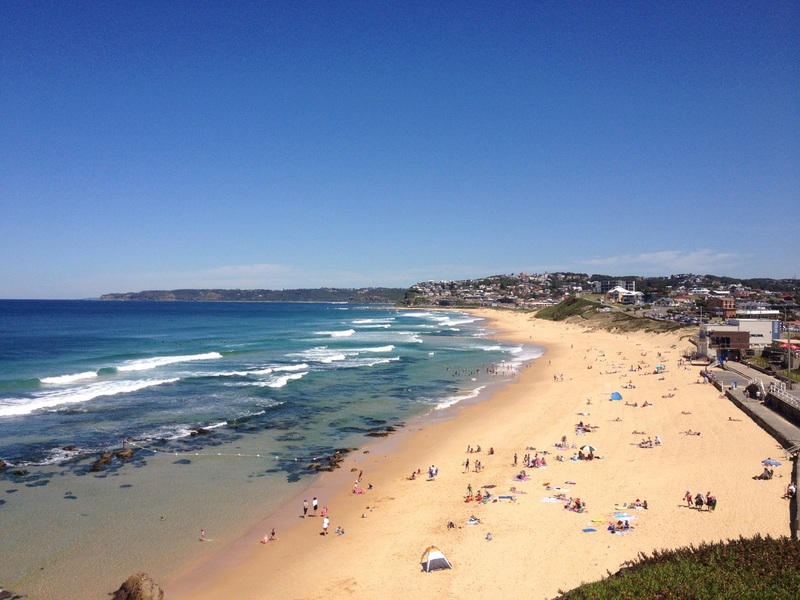 He currently resides in Merewether, a suburb of Newcastle on the east coast of Australia. In his teen years, Travis competed in back-to-back National Sailing Championships held in Melbourne, Victoria, and Perth, Western Australia, and played representative basketball, soccer, and tennis. He continues to play Premier League basketball in Newcastle. An avid reader growing up, his memories have him religiously reading every ‘Hardy Boys’ novel as a child, before moving onto the works of J.R.R Tolkien in early high school, and later Raymond E. Feist. Travis is a passionate follower of the NBA, NFL, and NRL (Australian Rugby League). He states that he draws comedic inspiration for the style of humour in his work from Ricky Gervais, Bill Simmons, Adam Carolla, Anthony Jeselnik, Jeff Ross and the TV show 'Family Guy'. Travis' favourite TV shows growing up were ‘The Simpsons’, ‘Just Shoot Me’, ‘Seinfeld’, ‘Family Guy’ and ‘The Office’ (both UK and US versions), and currently are: ‘Breaking Bad’, ‘Game of Thrones’, ‘The Walking Dead’, ‘The Wire’, and 'Westworld'. His first book, ‘The Bachelor Life’, took over eighteen months to write and was published on the 26th January, 2014. He has plans for Volume II of ‘The Bachelor Life’, but is currently working on his first fantasy novel, tentatively titled ‘Wade and the Dawn of Darkness’. He began writing the fantasy novel in 2004, but put it aside when he graduated from University and began work as a commercial accountant - a profession he left in 2011 to pursue his writing career. ‘Wade and the Dawn of Darkness’ is currently in the editing phase and is expected to be published by the end of 2017. 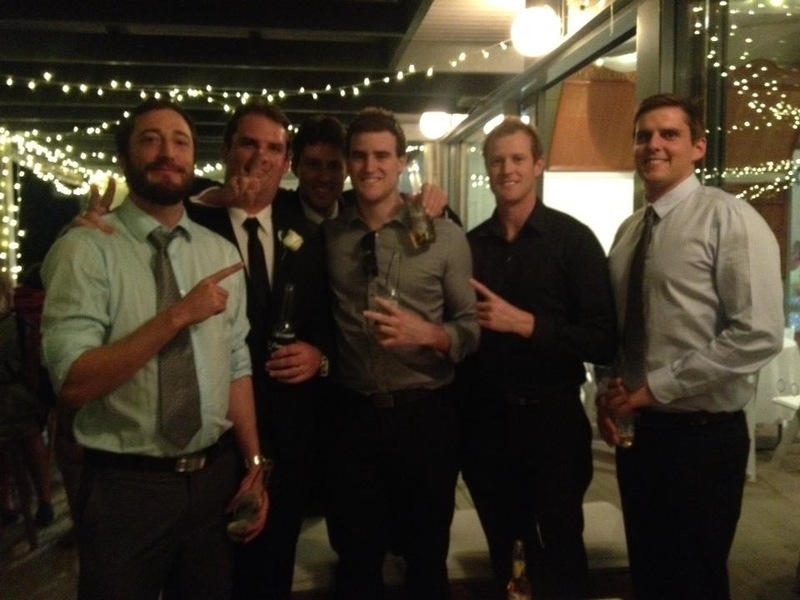 Above: Travis J. Hawke (left) and his Division 1 Grand Final winning basketball team, 'The 96 Bulls'. 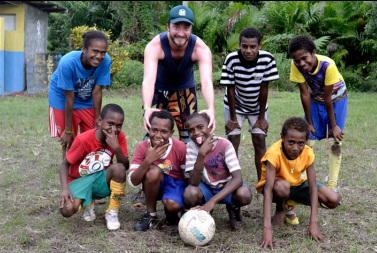 Above: Travis J. Hawke in Vanuatu, July, 2013.